Study from the Parque Nacional del Teide, Tenerife, visited in September 2018. 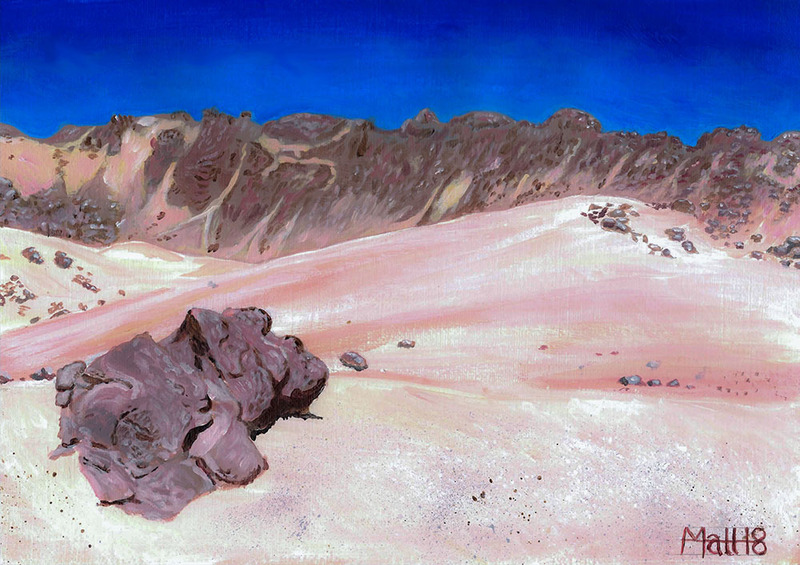 This volcanic landscape is a terrestrial analogue for planetary landscapes. This study is one of a series, part of a larger ongoing project that aims to produce realistic portraits of other planets.